We are one of the largest suppliers of staging in the United Kingdom. We are able to build small raised stages right through to large outdoor concert covered stages. No job is too small or large. Whether you require a stage for a conference, wedding, DJ, festival or outdoor event, we've got a perfect solution for you. 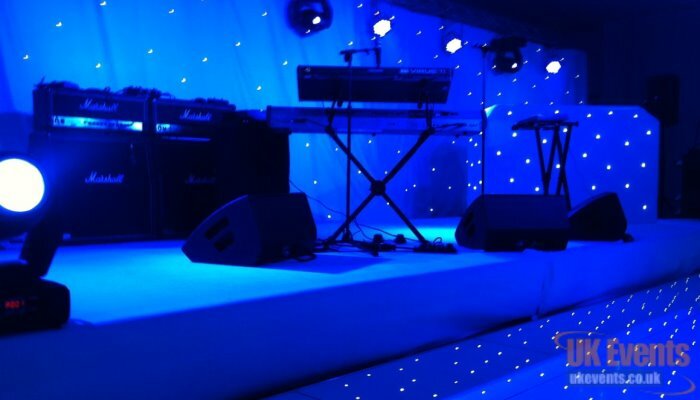 We can provide stages at various heights with different colour finishes to meet your requirements. Not only can we make any stage size or configuration, but we can supply handrails, steps and carpet. 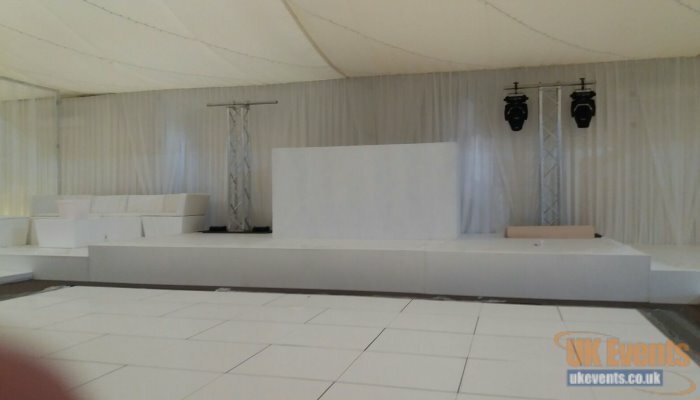 Our very experienced installation team will arrive onsite and setup the dance floors as per your specifications. We are now proud to be taking bookings for our all new inflatable stage covers. 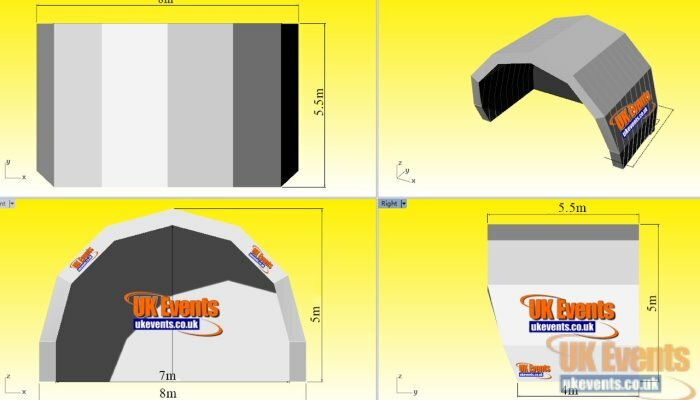 Our inflatable roof offers an instant solution for festivals and outdoor events. 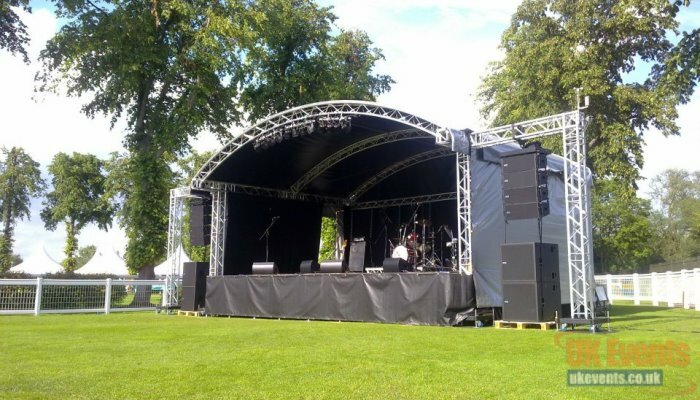 We can supply a stage and covering at a fraction of the cost of a standard covered stage. Due to the speedy erection of our inflatable roof, you won't be paying for high labour costs. We have designed our roofs to withstand rain and moderate winds, making it a perfect affordable alternative to traditional solid structures. The stage is inflated by 2 x high performing blower units - so if 1 blower fails, the structure will remain standing. 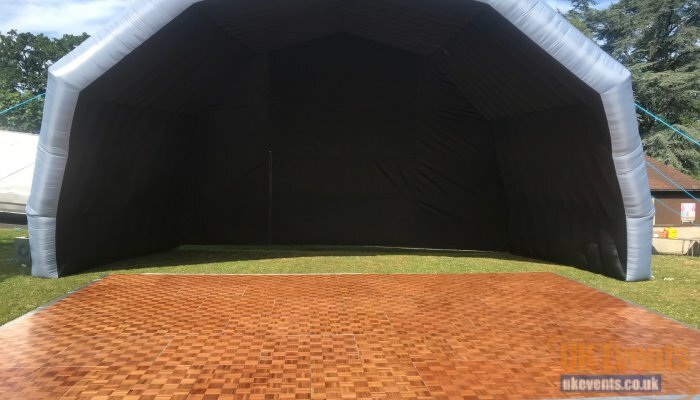 We are currently offering an 8m x 4m covered stage which would accommodate a 7m x 5m stage. The inflatable stage roof has a front overhang of half a metre. We offer cost effective outdoor stage roofs for smaller outdoor events. 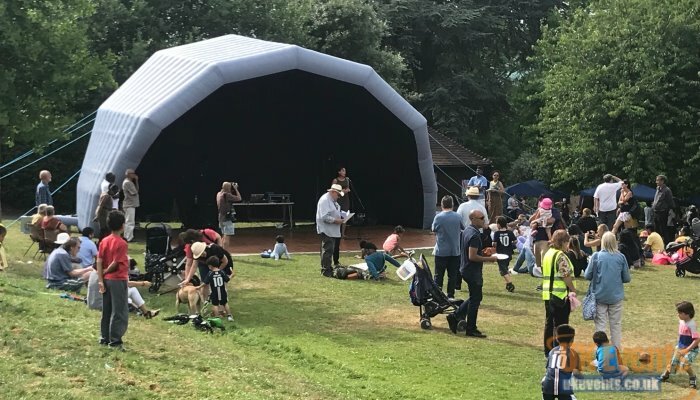 We can supply outdoor stages to go under your stage roof, supply sound and lighting to make your event one to rememeber. A fully inflated stage roof in under 10 minutes. NEW to UK Events.